AN ACT OF SPIRITUAL COMMUNION – L’ATTO DI COMUNIONE SPIRITUALE. A plenary indulgence once a month on the usual conditions when the act is performed every day of the month (S. P. Ap., Mar. 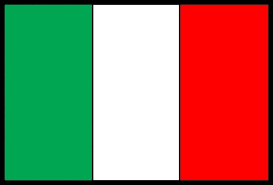 7, 1927 and Feb. 25 1933). a) My Jesus, I believe that Thou art present in the Blessed Sacrament. I love Thee above all things and I desire Thee in my soul. Since I cannot now receive Thee sacramentally, come at least spiritually into my heart. As though thou wert already there, I embrace Thee and unite myself wholly to Thee; permit not that I should ever be separated from Thee.(St. Alphonsus Maria de’ Liguori). b) At Thy feet, O my Jesus, I prostrate myself and I offer Thee the repentance of my contrite heart, which is humbled in its nothingness and in Thy holy presence. I adore Thee in the Sacrament of Thy love, the innefable Eucharist. I desire to receive Thee into the poor dwelling that my heart offers Thee. While waiting for the happiness of sacramental Communion, I wish to pocess The in spirit. Come to me, O my Jesus, since I, for my part, am coming to Thee! May Thy love embrace my whole being in life and in death. I believe in Thee, I hope in Thee, I love Thee. Amen. (Raphael Cardinal Merry del Val). issued by the Sacred Penitentiary Apostolic. By Rev. Joseph P. Christopher, Ph.D.
St. Charles Seminary, Philadelphia, Pa.
sure of the fidelity of the translation. All to the contrary notwithstanding: By order of His Eminence. When we cannot go really to Communion we can merit God’s grace by making a spiritual Communion. What is a spiritual Communion? It is an earnest desire to receive Communion. You prepare yourself as if you were really going to Communion; you try to imagine yourself going up, receiving the Blessed Sacrament, and returning to your place. Then you thank God for all His blessings to you as you would have done had you received. This is an act of devotion, and one very pleasing to God, as many holy writers tell us. I cannot leave this lesson on the Holy Eucharist without telling you something of the devotion to the Sacred Heart of Jesus, now so universally practised and so closely connected with the devotion to the Blessed Sacrament. The Church grants many indulgences, and Our Lord Himself promises many rewards to those who honor the Sacred Heart. But what do we mean by the Sacred Heart? We mean the real natural heart of Our Lord, to which His divinity is united as it is to His whole body. But why do we adore this real, natural heart of Our Lord? We adore it because love is said to be in the heart, and we wish to return Our Lord love, and gratitude for the great love He has shown to us in dying for us, and in instituting the sacraments, especially the Holy Eucharist, by which He can remain with us in His sacred humanity. When Our Lord appeared to Saint Margaret Mary He said: “Behold this Heart, that has loved men so ardently, and is so little loved in return.” The first Friday of every month and the whole month of June are dedicated to the Sacred Heart. Jesus, my Saviour and my God! I am not worthy to appear before Thee, for I am a poor sinner; yet I approach Thee with confidence, for Thou hast said, “Come to Me, all you that labor and are burdened, and I will refresh you.” Thou wilt not despise a contrite and humble heart. I am truly sorry for my sins, because by them I have offended Thee, Who art infinitely good. Whatever may have been my foolish transgressions in the past, I love Thee now above all things, and with all my heart. I desire, good Jesus, to receive Thee in holy communion, and since I can not now receive Thee in the Blessed Sacrament, I beseech Thee to come to me spiritually and to refresh my soul with Thy sweetness. Come, my Lord, my God, and my All ! Come to me, and let me never again be separated from Thee by sin. Teach me Thy blessed ways; help me with Thy grace to imitate Thy example; to practise meekness, humility, charity, and all the virtues of Thy sacred Heart. My divine Master, my one desire is to do Thy will and to love Thee more and more; help me that I may be faithful to the end in Thy service. Bless me in life and in death, that I may praise Thee forever in heaven. Amen. 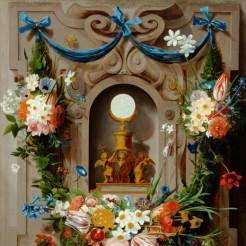 I BELIEVE that Thou, O Jesus, art in the Most Holy Sacrament! I love Thee and desire Thee! Come into my heart. I embrace Thee; oh, never leave me! My Jesus, I love Thee with my whole heart, and I wish to live always united to Thee. 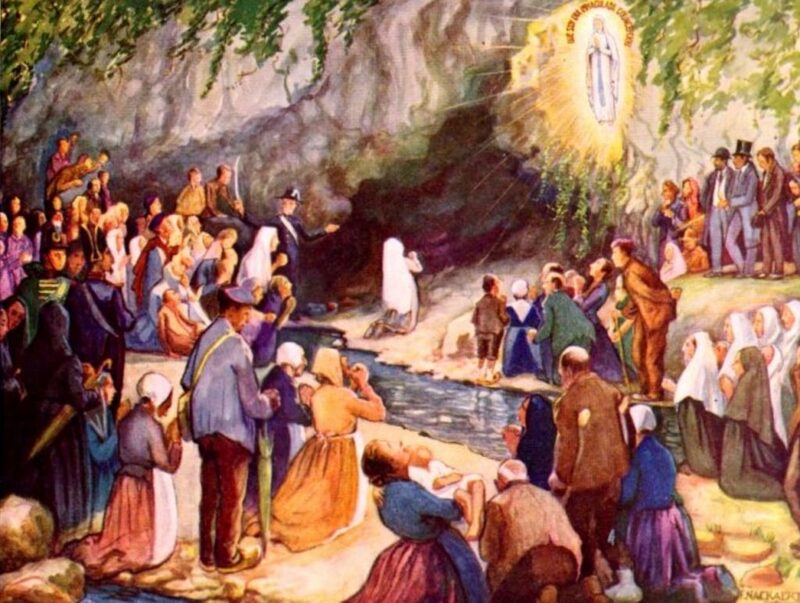 As I can not now receive Thee sacramentally, I receive Thee in spirit. Come, then, into my soul; I embrace Thee, and I unite my entire self to Thee; and I beseech Thee never more to allow me to be separated from Thee. O my Jesus, living in the blessed Eucharist, come and live in my heart in the might of Thy love, by which all within me may become transformed. Reign in me over all my faculties, so that I may no longer live or act but by Thy life and movement. Be Thou, O my Love, the Life of my life, that so each day my heart may become more and more like Thine. My sweet Jesus, come into my poor heart and remain with me. Poor as it is, may it be to Thee a sanctuary from those who hate Thee, as Thy Heart is to me a refuge and a sanctuary from my enemies. My heart is ready, O my Jesus, to receive Thee. Enter, and stay with me, for the day is far spent. Tribulation draws nigh and there is none to help, but if Thou art with me, I shall not fear. Nihil Obstat. Remy Lafort, Censor Librorum. New York, June 7, 1911. Copyright, 1911, by Benziger Brothers. From the Most Rev. William Henry Elder, D. D., Archbishop of Cincinnati. From the Right Rev. John Dunne, D.D., Bishop of Wilcannia, Australia. From the Right Rev. N. Z. Lorrain, P.P., Vicar Apostolic of Pontiac, Ont. A GOOD INTENTION BEFORE MASS. I BELIEVE, Lord Jesus, that in the Last Supper Thou didst offer up a true sacrifice; I believe it because Thou hast made it known to us through the Catholic Church, which from the apostles’ times has constantly taught it to us. Since Thou didst command the apostles and the priests ordained by them, to do the same till the end of time, I therefore offer to Thee, with the priest, this holy sacrifice of the Mass (which I believe to be one with that offered on Mount Calvary), to Thy honor and glory, in acknowledgment of my most bounden service, in thanksgiving for the innumerable benefits which Thou hast con ferred upon me and upon the whole world, in satisfaction for my sins and the sins of all mankind, and for obtaining the grace of perfect contrition for my sins. I also offer to Thee this holy Mass for my friends, benefactors, for those for whom I am bound, and for whom Thou wiliest me to pray. I also offer it for my enemies, that they may be converted, for all the faithful departed, particularly for my parents and relatives, and for the welfare of all Christendom. I. HEARTFELT DESIRE TO PARTICIPATE IN THE HOLY SACRIFICE. Most Holy Trinity, God, Father, Son, and Holy Ghost, almighty source of all things; my best Father, my merciful Redeemer, the Fountain of my sanctification and happiness, I, Thy most unworthy creature, venture to appear before Thee, to show Thee, my true God and Creator, all honor, adoration, and trustful submission; to thank Thee for the innumerable benefits which I have received from Thee; to praise Thee for Thy glory (for I am created for Thy praise); to implore Thy mercies, and to appease Thy justice, because I have so often and so grievously sinned against Thee. All this I cannot do in a worthier and more perfect manner than by hearing, with faith and devotion, holy Mass. For in that holy sacrifice is offered to Thee the most sublime sacrifice of praise and thanksgiving, the most efficacious sacrifice of supplication and propitiation, the most worthy sacrifice of salvation for the living and the dead. But because I cannot this day be present bodily at the holy Mass, I will, at least in spirit, place myself before the altar where Jesus Christ in an unbloody manner offers Himself, O heavenly Father, to Thee. With this glorious sacrifice I unite my present prayer; I fervently desire, united with the Son of God, in the strongest manner to praise, love, supplicate Thee, O heavenly Father, to repair all the wrong and shame that I have wrought, and com pletely to accomplish all that can be accomplished by the holy sacrifice of the Mass. To this end give me Thy divine grace, and grant that I may perform all this with sincere devotion. Amen. JESUS CHRIST, AND AN OFFERING OF HIS PRECIOUS MERITS. Holy Father, I confess with sorrow that I have seldom served Thee with an undivided heart, but rather have often offended Thee, and by my slothfulness and neglect have brought upon myself infinitely great guilt before Thee. I therefore take refuge in the merits of Thy beloved Son, now present upon the altar, Who so freely commends and imparts to us His grace and favor. In the holy sacrifice of the Mass Jesus offers to Thee, for me, the highest veneration and love, the most perfect praise, the most hearty thanksgiving, and the most kind expiation. For the perfect forgiveness of my sins, O heavenly Father, I offer to Thee the whole suffering and death of Jesus Christ, which now, in an unbloody manner, is renewed upon the altar. O most benign Father, Thy Son has suffered and died even for me, a poor sinner. With thankful love I bring before Thee as a precious and pleasing offering, the infinite merits of His suffering and death. I firmly trust that, on account of this inestimable sacrifice of Thy Son, Thou wilt not regard my guilt, and that Thou wilt increase in me Thy graces. Amen. O Father of mercies, and God of all consolation, to Thee I turn for help and grace. Graciously look upon my misery and wretchedness, and let my supplications come before Thee. That I may the more surely be heard by Thee, I appear before the throne of Thy grace, which for our salvation, is set up in the holy sacrifice of the Mass, where the innocent Lamb of God is mysteriously offered up to Thee, holy Father, Almighty God, for the remission of our sins. Regard, I beseech Thee, the innocence of this holy sacrifice, and for the sake thereof extend to me Thy mercy. O my Saviour, how great is Thy love for me which, to make satisfaction for my sins, and to gain me the grace of Thy Father, impelled Thee to endure for me such bitter pains, and even death itself. Oh, how great is yet Thy love for me, which causes Thee, in every holy Mass to renew, in an unbloody manner, Thy death of propitiation, in order to apply and communicate to me Thy merits. With my whole heart I thank Thee for Thy great love, and from the depths of my soul I beseech Thee to make me a partaker of the fruits of it, and to strengthen and confirm me by the grace of the Holy Ghost, that I may detest sin and all unholy living, that I may crucify my flesh, with all its passions, deny myself, and follow in Thy foot steps, that all my thoughts and words, all that I do or leave un done, may be a living service of God, and a sacrifice well pleasing to Him. As Thou hast offered up Thyself to Thy heavenly Father, so take me also in the arms of Thy love and mercy, and present me, a poor erring sinner, as an offering to Thy Father, and let me no more be separated from His love. Amen. CHRIST, UNDER THE APPEARANCES OF BREAD AND WINE. O most holy Jesus, before Thee the heavenly choirs kneel and adore; with them I lift up my voice and cry. Holy, holy, holy, art Thou, O Lord of hosts. Heaven and earth are full of Thy grace and glory. Thou art present, O Jesus, under the appearances of bread and wine. Hear, O hear my prayer. I strike my breast and confess my unworthiness; but with firm confidence I implore Thee, O Jesus, be merciful to me. O most benign Jesus, forgive me my sins. O holy blood, wash me from my sins. O precious blood of Jesus, O blood of Jesus, rich in grace, cry out to Heaven for mercy upon me. Most holy God, receive this precious blood, together with the love through which it was shed ; receive it as an offering of my love and thankfulness, for the greatest glory of Thy name; for the forgiveness of my sins; in satisfaction of the punishments which I have deserved; for the washing away of the stains of my guilt, as reparation for all my neglects, and as amends for all the sins which I have committed through ignorance or frailty; receive it also as a sacrifice for the consolation of the afflicted; for the conversion of sinners; for the recovery of the sick and suffering; for the strengthening of those who draw near to death; for the refreshment, purification, and deliverance of the souls of the departed in purgatory. Amen. IV. UNSHAKEN CONFIDENCE IN JESUS CHRIST. To Thee, O most benign Jesus, I lift up my eyes and my heart. Oh, turn upon me Thy gracious countenance, and Thy true love. Behold, O Lord, my manifest need, and the great danger of my soul. Oh, receive me, Thou Who art my only true mediator and helper. Be Thou, through the holy sacrifice of the Mass, my salvation, and obtain for me the entire remission of my sins. Oh, represent to Thy Father how cruelly Thou wast scourged, crowned, crucified, and put to death for us, and thereby reconcile with the strict justice of God me, a miserable sinner. Amen. V. HE WHO ASKS IN THE NAME OF JESUS SHALL RECEIVE. O Lamb of God, Who suffered for us miserable sinners, have mercy upon me, and offer up to the Father Thy passion for the forgiveness of my sins. O Lamb of God, Who died for us miserable sinners, have mercy upon me, and offer up to God Thy death in satisfaction for my sins! O Lamb of God, Who didst sacrifice Thyself for us miserable sinners, have mercy upon me, and offer up Thy holy blood to the Father for the cleansing of my soul. Heavenly Father, I offer to Thee this precious and most worthy oblation. My sins are more in number than the hairs of my head, but, O just and merciful God, lay this precious offering in the one scale and my sins in the other, and that will far outweigh my guilt. O merciful, O holy God, give me Thy blessing before I end my prayer, and through this blessing let me obtain grace at once to begin to amend my life, and to re nounce whatever is sinful and displeasing to thee. Support me in my weakness; strengthen me when temptations assail me, and let me never forget that Thou art near me. O precious day! but perhaps the last of my life. O happy day! if it shall make me better. Holy Mother of God, Mary, holy angels and friends of God, pray for me and lead me in the way of truth. O God, grant Thy love to the living, and Thy peace to the dead. Amen. AND A DESCRIPTION OF THE HOLY LAND. Nihil Obstat. THOMAS L. KINKEAD, Censor Librorum. lmprimatur. + MICHAEL AUGUSTINE, Archbishop of New York. New York, April 29, 1896. APPROBATIONS from sixty one Catholic bishops. Iindulgenza plenaria una volta al mese alle solite condizioni, se recitato per ogni giorno del mese (S. S. Pænit. Ap., 7 marzo 1927 e 25 febbraio 1933). a) Mio Gesù, credo che Voi siate presente nel Santissimo Sacramento. Vi amo sopra ogni cosa e Vi desidero nella mia anima. Poiché non posso ora ricevervi sacramentalmente, venite almeno spiritualmente nel mio cuore. Come già venuto, vi abbraccio e mi unisco a Voi; non permettere che io mi abbia a separare da Voi. (Sant’Alfonso Maria de’ Liguori). b) Ai vostri piedi, o mio Gesù, mi prostro e vi offro il pentimento del mio cuore contrito, che è umiliato nel suo nulla e nella vostra santa presenza. Vi adoro nel Sacramento del vostro amore, l’ineffabile Eucaristia. Desidero ricevervi nella povera dimora che il mio cuore vi offre. Nell’attesa della felicità della Comunione sacramentale, desidero processarvi in spirito. Venite a me, o mio Gesù, poiché io, per parte mia, vengo a Voi! Che il vostro amore abbracci tutto il mio essere nella vita e nella morte. Io credo in Voi, spero in Voi, vi amo. Amen. (Cardinale Raffaele Merry del Val). Quando non possiamo materialmente andare alla Comunione, possiamo meritare la grazia di Dio facendo una Comunione spirituale. Cos’è una comunione spirituale? È un desiderio sincero di ricevere la Comunione. Ci si prepara come se si stesse veramente andando alla Comunione; si immagina di andare, ricevere il Santissimo Sacramento e tornare al proprioo posto. Allora si ringrazia Dio per le Sue benedizioni su di noi come se l’avessimo ricevuto. Questo è un atto di devozione molto gradito a Dio, come ci dicono molti santi scrittori. Non posso lasciare questa lezione sulla Santa Eucaristia senza dirvi qualcosa della devozione al Sacro Cuore di Gesù, ora così universalmente praticato e così strettamente connesso con la devozione al Santissimo Sacramento. La Chiesa concede molte indulgenze e Nostro Signore stesso promette molte ricompense a coloro che onorano il Sacro Cuore. Ma cosa intendiamo per il Sacro Cuore? Intendiamo il vero cuore naturale di Nostro Signore, al quale la Sua divinità è unita come lo è per tutto il Suo corpo. Ma perché adoriamo questo cuore reale e naturale di Nostro Signore? Lo adoriamo perché l’amore si dice che sia nel cuore e desideriamo restituire l’amore del Nostro Signore e la gratitudine per il grande amore che Lui ci ha mostrato morendo per noi e istituendo i Sacramenti, specialmente la Santa Eucaristia, mediante la quale Egli può rimanere con noi nella Sua sacra umanità. Quando Nostro Signore apparve a Santa Margherita Maria le disse: “Guarda questo Cuore che ha amato gli uomini così ardentemente, ed in cambio è così poco amato “. Il primo venerdì di ogni mese e l’intero mese di giugno sono dedicati al Sacro Cuore. Gesù, mio ​​Salvatore e mio Dio! Non sono degno di comparire davanti a Te, perché sono un povero peccatore; eppure mi avvicino a Te con fiducia, poiché Tu hai detto: “Venite a me, tutti voi che siete affaticati e oppressi, e io vi ristorerò”. Non disprezzerai un cuore contrito ed umile, sono veramente dispiaciuto per i miei peccati perché con essi ho offeso Te, sei infinitamente buono. Qualunque possa essere stato il mio insensato peccato nel passato, ti amo ora sopra ogni cosa e con tutto il mio cuore, desidero, Gesù buono, di riceverti nella santa Comunione, e poiché non posso ora riceverti nel Santissimo Sacramento, ti supplico di venire da me spiritualmente e di ristorare la mia anima con la Tua dolcezza. Vieni, mio ​​Signore, mio ​​Dio e mio Tutto! Vieni da me, e non lasciare più che il peccato mi separi da te. Insegnami le tue sante vie; aiutami con la Tua grazia ad imitare il Tuo esempio: praticare la mansuetudine, l’umiltà, la carità e tutte le virtù del Tuo sacro Cuore. Mio divino Maestro, il mio unico desiderio è di fare la Tua volontà e di amarti sempre di più; aiutami ad essere fedele fino alla fine nel Tuo servizio. Benedicimi in vita e in morte, affinché io possa lodarti per sempre nei cieli. Amen. IO CREDO che Tu, o Gesù, sia nel Santissimo Sacramento! Ti amo e ti desidero! Vieni nel mio cuore. Ti abbraccio; oh, non lasciarmi mai! Mio Gesù, ti amo con tutto il mio cuore e desidero vivere sempre unito a Te. Poiché non posso ora riceverti sacramentalmente, Ti ricevo in spirito. Vieni, quindi, nella mia anima; Ti abbraccio e mi unisco con tutto me stesso a Te; e Ti prego di non permettermi mai più di essere separato da te. O mio Gesù, vivendo nella benedetta Eucaristia, vieni e vivi nel mio cuore nella forza del Tuo amore, mediante il quale tutto in me può essere trasformato. Regna in me in tutte le mie facoltà, affinché io non possa più vivere o agire se non per la vita Tua ed le Tuoi azioni. Sii, o mio amore, la vita della mia vita, così che ogni giorno il mio cuore possa diventare sempre più simile al Tuo. Mio dolce Gesù, vieni nel mio povero cuore e resta con me. Povero com’è, possa essere per te un santuario per quelli che ti odiano, come il Tuo cuore è per me un rifugio ed un santuario per i miei nemici. Il mio cuore è pronto, o mio Gesù, a riceverti. Entra, e resta con me, perché il giorno è ormai passato . La tribolazione si avvicina e non c’è nessuno che mi possa aiutare, ma se Tu sei con me, e non avrò paura. Dal Rev. William Henry Elder, D.D., Arcivescovo di Cincinnati. Dal Rev. John Dunne, D.D., Vescovo di Wilcannia, Australia. Dal Rev. N. Z. Lorrain, P.P., Vicario Apostolico di Pontiac, Ont. CREDO, Signore Gesù, che nell’Ultima Cena hai offerto un vero Sacrificio; lo credo perché ce lo hai fatto conoscere attraverso la Chiesa Cattolica, ché dai tempi degli Apostoli ci è stato costantemente insegnato. Poiché Tu hai comandato agli Apostoli e ai Sacerdoti ordinati da loro, di fare lo stesso fino alla fine dei tempi, io Ti offro così, mediante il Sacerdote, questo santo Sacrificio della Messa (che credo sia tuttuno con quello offerto sul Monte Calvario), a Tuo onore e gloria, in riconoscimento del mio servizio più profondo, in ringraziamento per gli innumerevoli benefici che Tu hai conferito a tutto il mondo, in soddisfazione dei miei peccati ed i peccati di tutta l’umanità, e per ottenere la grazia della perfetta contrizione dei miei peccati. Ti offro questa santa Messa per i miei amici, i miei benefattori, per coloro ai quali sono legato e per coloro i quali Tu mi imponi di pregare. La offro anche per i miei nemici, affinché possano convertirsi, per tutti i fedeli defunti, in particolare per i miei genitori e parenti e per il bene di tutta la cristianità. Santissima Trinità, Dio: Padre, Figlio e Spirito Santo, fonte onnipotente di tutte le cose; il mio miglior Padre, il mio misericordioso Redentore, la Fonte della mia santificazione e della mia felicità, io, la tua più indegna creatura, mi permetto di comparire davanti a Te per mostrarmi a Te, mio ​​vero Dio e Creatore: a Te tutto ogni onore, adorazione e sottomissione fiduciosa; per ringraziarti degli innumerevoli benefici che ho ricevuto da Te; per lodarti per la tua gloria (poiché sono stato creato per la tua lode); per implorare la tua misericordia e per placare la tua giustizia, perché ho così spesso e gravemente peccato contro di Te. Tutto ciò non posso farlo che in modo più saggio e più perfetto che ascoltando, con fede e devozione, la Santa Messa. Perché in quel Santo Sacrificio è offerto a Te il sacrificio più sublime di lode e di ringraziamento, il sacrificio più efficace di supplica e propiziazione, il sacrificio più degno di salvezza per i vivi e per i morti. Ma poiché oggi non posso essere presente fisicamente alla santa Messa, lo farò, almeno in spirito, posto davanti all’altare dove Gesù Cristo in modo incruento offre Se stesso, a Te, o Padre celeste. Con questo glorioso Sacrificio unisco la mia attuale preghiera; io desidero con fervore, unito al Figlio di Dio, nel modo più forte, di lodare, amare, supplicare Te, o Padre celeste, per riparare a tutto il torto e le ignominie che ho operato, e realizzare pienamente tutto ciò che può essere compiuto dal santo Sacrificio della Messa. A tal fine dammi la tua grazia divina e concedici di compiere tutto questo con sincera devozione. Amen. II. CONTRIZIONE PER I PECCATI, CON FEDE E FIDUCIA IN GESÙ CRISTO E UN’OFFERTA DEI SUOI MERITI PREZIOSI. Santo Padre, confesso con dolore che raramente ti ho servito con tutto il cuore, ma piuttosto ti ho spesso offeso, e con la mia indolenza e negligenza ho riportato una colpa infinitamente grande davanti a Te. Mi rifugio quindi nei meriti del Tuo amato Figlio, ora presente sull’altare, che ci ha riscattato e ci ha dato la sua grazia e il suo favore. Nel sacro Sacrificio della Messa, Gesù offre a Te, per me, la più alta venerazione ed amore, la lode più perfetta, il ringraziamento più cordiale e l’espiazione efficace. Per il perdono perfetto dei miei peccati, o Padre celeste, ti offro tutta la sofferenza e la morte di Gesù Cristo, che ora, in modo incruento, si rinnova sull’altare. O padre benigno, il tuo Figlio ha sofferto ed è morto anche per me, povero peccatore. Con amore riconoscente ti porto davanti, come offerta preziosa e gradita, i meriti infiniti della sua sofferenza e morte. Confido fermamente che, a causa di questo inestimabile sacrificio del Tuo Figlio, Tu non considererai la mia colpa, ed aumenterai in me le Tue grazie. Amen. O Padre di misericordia, e Dio di ogni consolazione, a Te chiedo aiuto e grazia. Guarda con benevolenza la mia miseria e disgrazia e lascia che le mie suppliche vengano a te. Che io possa essere ascoltato da Te, che appaia davanti al trono della Tua grazia che, per la nostra salvezza, è posto nel santo Sacrificio della Messa, dove l’innocente Agnello di Dio è misteriosamente offerto a Te, santo Padre, Dio Onnipotente, per la remissione dei nostri peccati. Riguardo, ti supplico, l’innocenza di questo santo Sacrificio, e per suo mezzo estendi a me la tua misericordia. O mio Salvatore, quanto è grande il Tuo amore per me che, per riparare i miei peccati e farmi guadagnare la grazia del Tuo Padre, ti ha spinto a sopportare per me tali dolori amari e persino la morte stessa. Oh, quanto è grande il Tuo amore per me, che ti spinge, in ogni Santa Messa a rinnovare, in modo incruento, la Tua morte propiziatoria, per applicarmi e comunicarmi i Tuoi meriti. Con tutto il mio cuore Ti ringrazio per il Tuo grande amore, e dal profondo della mia anima ti supplico di farmi partecipe dei suoi frutti, e di rafforzarmi e confermarmi per la grazia dello Spirito Santo, affinché io possa detestare il ​​peccato e tutto il vivere empio, perché io possa crocifiggere la mia carne, con tutte le sue passioni, negare me stesso e seguire i tuoi passi, affinché tutti i miei pensieri e le mie parole, tutto ciò che faccio o che non faccio, possano essere un servizio vivente di Dio e un sacrificio ben gradito a lui. Così come Tu hai offerto Te stesso al tuo Padre celeste, prendimi pure tra le braccia del Tuo amore e misericordia, e presentami, povero peccatore errante, come offerta al Padre, e non lasciare più che sia separato dal Suo amore. Amen. III. ADORAZIONE DEL SANTISSIMO CORPO E SANGUE DI GESÙ CRISTO, SOTTO LE SPECIE DEL PANE E DEL VINO. O santissimo Gesù, davanti a Te i Cori celesti si inginocchiano e ti adorano; con loro alzo la voce e piango. Santo, santo, santo, sei Tu, o Signore degli eserciti. Il cielo e la terra sono pieni della Tua grazia e della Tua gloria. Tu sei presente, o Gesù, sotto le specie del pane e del vino. Ascolta, ascolta la mia preghiera. Batto il mio petto e confesso la mia indegnità; ma con ferma fiducia ti imploro, o Gesù: sii misericordioso con me. O Gesù benigno, perdona i miei peccati. O Sangue santo, lavami dai miei peccati. O sangue prezioso di Gesù, Sangue di Gesù, ricco di grazia, grida al Cielo per pietà! Dio Santissimo, ricevi questo prezioso Sangue, con l’amore con cui è stato versato; ricevilo come offerta del mio amore e della mia gratitudine, per la maggior gloria del tuo Nome; per il perdono dei miei peccati; in soddisfazione delle pene che ho meritato; per lavare via le macchie della mia colpa, come riparazione per tutte le mie negligenze e come ammenda per tutti i peccati che ho commesso per ignoranza o fragilità; ricevilo anche come Sacrificio per la consolazione degli afflitti; per la conversione dei peccatori; per il conforto degli ammalati e dei sofferenti; per il rafforzamento di coloro che si avvicinano alla morte; per il ristoro, la purificazione e la liberazione delle anime dei defunti dal Purgatorio. Amen. IV. INCROLLABILE FEDE IN GESÙ CRISTO. A te, o benigno Gesù, alzo gli occhi e il cuore. Oh, rivolgimi il tuo grazioso aspetto e il tuo vero amore. Ecco, o Signore, il mio pressante bisogno ed il grande pericolo della mia anima. Oh, accoglimi, Tu che sei il mio unico vero Mediatore e Aiuto. Sii Tu, attraverso il santo Sacrificio della Messa, la mia salvezza, e ottienimi l’intera remissione dei miei peccati. Oh, rappresenta al tuo Padre quanto crudelmente Tu sia stato flagellato, incoronato, crocifisso e messo a morte per noi, e quindi riconcilia. con la rigida giustizia di Dio, me miserabile peccatore. Amen. 1. FORMULE DI PAOLO. — 2. ALLUSIONI AL SACRIFIZIO. 1. Se il Battesimo fa nascere il corpo mistico, l’eucaristia lo alimenta e lo fa crescere. San Paolo presenta insieme il tipo dei due Sacramenti. Gli Ebrei, egli dice, « furono battezzati in Mosè nella nube e nel mare; e tutti mangiarono il medesimo cibo spirituale e bevvero la medesima bevanda spirituale (I Cor. X, 1-21) ». La manna e l’acqua della rupe sono dette spirituali, sia perché erano frutto di un miracolo, sia perché figuravano i due elementi dell’Eucaristia, cibo e bevanda dell’uomo rigenerato nel Battesimo. – Ad una combinazione fortuita noi siamo debitori dell’insegnamento di Paolo riguardo l’Eucaristia. Egli lo aveva dato a viva voce ai Corinti, come a tutti gli altri catecumeni, e non lo avrebbe ripetuto per iscritto, se non fossero stati i dubbi dei nuovi Cristiani circa gli idolotiti, e se non fossero state le loro irriverenze nella celebrazione dell’agape. Si può credere che il suo insegnamento orale sia stato più diffuso, ma è difficile che fosse più preciso. L’Apostolo ci indica anzitutto la fonte delle sue affermazioni, Gesù Cristo medesimo: « Io ho ricevuto dal Signore quello che alla mia volta ho trasmesso a voi (I Cor. XI, 23) ». Nel descrivere l’istituzione dell’Eucaristia, egli insiste su le circostanze di tempo — « la notte stessa in cui il Signore Gesù veniva consegnato » ai suoi nemici, « alla fine del banchetto » di addio — sia per meglio fissare la scena nella mente dei neofiti, sia piuttosto per metterla in relazione diretta con la morte del Signore Gesù. – La formula della consacrazione del pane non potrebbe essere più chiara. Essa sarebbe non soltanto oscura, ma incomprensibile e contradittoria, se il Salvatore avesse detto: « Questo pane è il mio corpo »; poiché è assolutamente impossibile che una cosa sia e non sia nel medesimo tempo, e non si toglierebbe la difficoltà col racchiudere il corpo del Cristo nel pane ordinario, perché sarebbe sempre falso che il pane reale sia il vero corpo del Cristo. Ma Gesù parla senza equivoco: « Questo è il mio corpo il quale (è) per voi (I Cor. XI, 24) ». Il soggetto della frase è il pronome dimostrativo « questo », cioè questo che voi vedete dinanzi a voi. questo che io vi indico col gesto, questo che non è ancora designato né come pane ordinario né come corpo del Cristo, ma il cui senso sarà determinato alla fine della proposizione, quando si sarà affermato qualche cosa. verbo sostantivo che serve di copula, esprime, come sempre, l’identità pura e semplice tra il soggetto e il predicato. È consolante il vedere oggi gli esegeti protestanti e razionalisti unirsi ai Cattolici nel riconoscere una verità tanto elementare e nel respingere l’esegesi tendenziosa che traduceva « essere » con « significare », contro l’uso biblico non meno che contro l’uso profano. L’equivoco sarebbe nel predicato? Il « corpo » si dovrebbe prendere in senso figurato, per il simbolo del corpo? L’ipotesi è già inaccettabile per questo, che sconvolge senza ragione il senso naturale dei termini; ma se ne sentirà meglio l’assurdo col sostituire a « corpo » il suo preteso equivalente: « Questo è il simbolo del mio corpo, il quale (simbolo) è per voi. Chiunque mangia il pane e beve il calice indegnamente è colpevole del simbolo del corpo e del simbolo del sangue del Signore ». In quanto poi all’identificazione del corpo eucaristico con la Chiesa, è meglio non parlarne: certi sistemi non hanno bisogno di confutazione e si accennano unicamente per far vedere a quali soluzioni disperate si riduca l’abbandono del solo senso naturale e legittimo. Presa in se stessa indipendentemente dalle allusioni e dalle circostanze che la determinano, l’altra formula di consacrazione: « Questo calice è la nuova alleanza nel mio sangue (I Cor. XI, 25) », presenterebbe qualche oscurità. Vi sono due metonimie delle quali l’una prende il contenente per il contenuto, e l’altra prende l’effetto per la causa, cioè la nuova alleanza conchiusa nel sangue del Cristo, per il sangue del Cristo che suggella la nuova alleanza. Però la prima è di uso tanto comune, che « questo calice » desta subito nella mente l’idea di una bevanda. Del resto, eccetto che si fosse adoperato il solo dimostrativo indeterminato « questo », il linguaggio metonimico era qui indispensabile. Difatti Gesù non poteva dire: « Questo vino è il mio sangue » senza profferire un errore e senza imporre alla fede dei suoi discepoli un’equazione incomprensibile. La seconda metonimia è un po’ meno comune, ma essa diventa chiara se si mette nel suo contesto: non potendo il contenuto di un calice materiale essere l’alleanza sigillata nel sangue, bisogna che questo sia il sangue dell’alleanza. — Gesù Cristo si comporta nella stessa maniera nelle due consacrazioni; tra i due atti v’è un parallelismo completo; dunque se, in virtù delle parole sacramentali, vi è da una parte il Corpo del Cristo, vi sarà dall’altra il suo Sangue. — L’allusione manifesta al racconto dell’esodo, non lascia più nessun dubbio. Mosè, aspergendo il popolo col sangue del sacrificio, dice: « Ecco il sangue dell’alleanza ». Il sangue dell’alleanza e l’alleanza nel sangue sono dunque una medesima cosa. – Certamente nell’una e nell’altra formola la parola del Figlio di Dio è creatrice. La verità enunciata non è anteriore all’enunciazione stessa, come nelle affermazioni ordinarie; essa ne è il prodotto. Ma Gesù Cristo aveva abituato i discepoli a tali miracoli della sua parola, e Colui che guariva con una parola, dicendo: « Tuo figlio è guarito », eppure: « Tu sei libero dalla tua infermità », meritava la stessa fede quando, con una formola analoga, concedeva il dono promesso del suo corpo e del suo sangue. San Paolo aggiunge alla doppia consacrazione l’ordine dato dal Cristo agli Apostoli, di perpetuare l’Eucaristia fino alla consumazione dei secoli. San Luca lo ricorda soltanto dopo la consacrazione del pane, e gli altri due Sinottici non ne fanno menzione, giudicandolo forse superfluo, per motivo della tradizione vivente della Chiesa. 2. In virtù del precetto divino e della spiegazione data dall’Apostolo, l’Eucaristia diventa un rito commemorativo: « Fate questo in memoria di me. Poiché tutte le volte che mangerete questo pane e che berrete questo calice, annunzierete la morte del Signore fino a che Egli venga ». Ma il rito eucaristico non è una semplice commemorazione del Sacrificio della croce: è esso medesimo un sacrificio commemorativo. San Paolo non dice già: « Questo calice è commemorativo della nuova alleanza conchiusa sul Calvario nel mio sangue »; egli dice invece: « Questo calice è esso medesimo l’alleanza; » in altri termini: « Il sangue contenuto in questo calice sigilla l’alleanza ». È dunque il sangue di una vittima; e il rito che lo versa misticamente avrà il carattere di un sacrificio. Questo risulta anche più chiaramente dal testo parallelo di san Luca: « Questo calice è la nuova alleanza nel mio sangue il quale è sparso per voi ». San Luca non dice che il sangue sarà sparso nel momento della passione; ma dice che il sangue è sparso presentemente, nel momento in cui si compie il rito eucaristico; dice anzi, con maggiore energia, che il calice — il sangue contenuto nel calice — è sparso per gli uomini. Presa isolatamente, la formula della consacrazione del pane non suggerisce l’idea del sacrificio: « Questo è il mio corpo il quale è per voi ». Si potrebbe intendere: « che vi è dato come nutrimento » invece di: « che è immolato per voi ». Anche il testo, più esplicito, di san Luca, non toglierebbe pienamente il dubbio: « Questo è il mio corpo che è dato (o abbandonato) per voi ». Si potrebbe, è vero, domandare se un corpo dato in cibo non sia per questo stesso un corpo immolato, e soprattutto se le parole « dato per voi » significhino veramente « dato in cibo » e non indichino piuttosto, come in tutti gli altri casi, l’atto col quale il Cristo si offre come vittima. Ma una certa quale oscurità resterebbe sempre, se si fa astrazione dal parallelismo. – Un altro passo di san Paolo ci fornisce un supplemento di luce. Volendo dimostrare ai Corinzi, che la partecipazione ai banchetti idolatrici è un abuso illecito, qualunque sia l’intenzione con cui si faccia, perché è uno scandalo, un pericolo e un atto formale d’idolatria, l’Apostolo si appella alla loro coscienza: « Io parlo a gente sensata; giudicate voi medesimi quello che dico. Il calice di benedizione che noi benediciamo, non è la comunione al sangue del Cristo? E il pane che spezziamo non è forse la comunione al corpo del Cristo! Poiché vi è un solo pane, noi siamo, nonostante il nostro numero, un solo corpo; perché noi partecipiamo a questo medesimo pane. Vedete Israele secondo la carne: quelli che mangiano le vittime non comunicano forse all’altare? ». E san Paolo, traendo la morale da questa dottrina, conchiude con queste parole: « Quello che i pagani immolano, lo immolano non a Dio ma ai demoni; ora io non voglio che voi siate i commensali dei demoni. Voi non potete bere il calice del Signore e la tazza dei demoni; voi non potete prendere parte alla mensa del Signore e alla mensa dei demoni (I Cor. X, 15-21) ». Se i ragionamenti dell’Apostolo non sono paralogismi, la comunione eucaristica è per i Cristiani quello che per i Gentili è il mangiare gli idolotiti, quello che per gli Ebrei è il banchetto sacro. Ora il banchetto sacro ha un significato religioso; esso costituisce un atto di culto in quanto è il complemento del sacrificio e unisce i fedeli col sacerdote sacrificatore, con l’altare sul quale fu immolata la vittima, e con la vittima stessa. Il rito d’inaugurazione dei sacri ministri fu sempre e in ogni luogo l’imposizione delle mani. Questo rito, indeterminato per se stesso, prende il suo significato preciso dalle circostanze che lo circondano o dalle parole che lo accompagnano. Noi vediamo nella Scrittura che si fa l’imposizione delle mani dal superiore per benedire, dal taumaturgo per guarire, dagli Apostoli per conferire lo Spirito Santo, dalle autorità ecclesiastiche per comunicare il potere di cui sono investite. L’idea comune a questi quattro modi è la trasmissione di un dono spirituale, di un favore soprannaturale o di un potere sacro. Tutti i fedeli avevano concorso all’elezione dei sette diaconi ellenisti, ma i soli Apostoli imposero loro le mani. Si trattava di renderli atti ad una funzione santa per sua natura, poiché la celebrazione dell’agape era ancora strettamente legata all’Eucaristia. Così si era vigilato affinché i candidati fossero ripieni dello Spirito Santo; l’imposizione delle mani si era fatta in mezzo alle preghiere pubbliche; terminata la cerimonia, i Sette, oltre la cura delle mense, si erano assunto il ministero della predicazione e l’amministrazione del Battesimo, ma senza pretendere di conferire lo Spirito Santo, potere esclusivamente riservato agli Apostoli. La loro istituzione aveva avuto un carattere religioso, e il loro potere era di ordine spirituale, pure rimanendo subalterno (Act. II, 1-6). L’imposizione delle mani era pure adoperata per il grado intermediario del chiericato. Quando Paolo scrive a Timoteo: « Non imporre troppo presto le mani a chiunque (I Tim. V, 22) », parla nominatamente degli anziani nel senso ecclesiastico, e non degli uomini avanzati in età. Finalmente lo stesso rito — fatta astrazione dalle parole o dalle preghiere che dovevano accompagnarlo — serviva egualmente per il grado superiore della gerarchia; e qui i testi sono alquanto più espliciti. Non si può quasi resistere all’impressione, che l’imposizione delle mani descritta nel capo XIII degli Atti avesse lo scopo di trasmettere a Barnaba ed a Saulo il supremo potere dell’ordine. Una semplice benedizione di addio non sarebbe stata circondata da tanta solennità, preceduta da digiuni e compiuta durante la liturgia, per comando dello Spirito Santo. I missionari sono specialmente designati per la conversione dei Gentili, cioè per la fondazione di nuove chiese ove è loro indispensabile il potere dell’ordine. Infatti subito noi li vediamo stabilire degli anziani (πρεβυτέρους = presbuterous) nelle città ove hanno fondato delle cristianità. Si può credere che nessuno avrebbe inteso diversamente il passo degli Atti, senza le difficoltà di trovare in Antiochia un ministro idoneo. 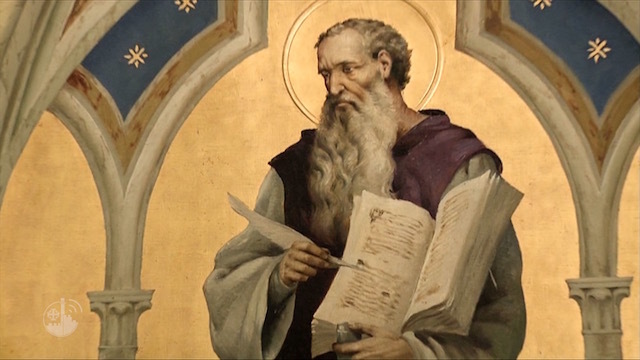 Se Barnaba, il personaggio principale di quella chiesa, secondo ogni apparenza, non fosse stato Vescovo, come supporre che fossero Vescovi gli altri profeti e dottori nominati dopo di lui! D’altra parte san Luca non fa menzione della presenza degli Apostoli in Antiochia, in quella circostanza. Si può dire, è vero, che non aveva bisogno di farne menzione, se era cosa riconosciuta, come tutto ci lascia credere, che un potere non viene mai conferito se non da chi lo possiede. Allorché si trattasse di una semplice benedizione, la difficoltà rimarrebbe ancora, perché la benedizione discende dal superiore e non viene data da inferiori o da uguali. – Con la consacrazione di Timoteo da parte di san Paolo, noi ci troviamo in terreno più sicuro. L’Apostolo scrive al suo discepolo: « Non trascurare la grazia (χάρισμα = karisma) che è in te per la profezia (oppure a causa delle profezie . con l’imposizione delle mani del collegio presbiterale. — Io ti esorto a ravvivare la grazia di Dio (χάρισμα = karisma), la quale è in te per l’imposizione delle mie mani (I Tim. IV, 14) ». Noi abbiamo qui un rito esterno — l’imposizione delle mani — ed una grazia interna prodotta dal rito. Qual è questa grazia, questo carisma? Evidentemente non è il dono puramente gratuito che lo Spirito Santo concede o ritira a suo talento, che non è permanente, e che nessuno è in grado di ravvivare o di far nascere. Non è neppure, come certuni suppongono, il carattere episcopale, il potere dell’ordine, poiché non ha nessun bisogno di essere ravvivato, non essendo suscettibile di diminuzione né di perdita. Questo carisma è piuttosto l’attitudine soprannaturale ricevuta col degno esercizio di un ministero sacro, è presso a poco quella che noi chiamiamo grazia dello stato, ossia il complesso dei doni spirituali e il diritto alle grazie attuali che i doveri dell’episcopato esigono. Benché associata al carattere e al potere dell’ordine, ne è tuttavia distinta. Mentre il carattere è indelebile e il potere è inalienabile, il carisma può languire per mancanza di sforzo o di vigilanza; se non arriva a estinguersi, ha bisogno almeno di essere ravvivato. San Paolo indica abbastanza nettamente la natura di questo carisma quando aggiunge: « Poiché Dio non ci ha dato uno spirito di timore ma (uno spirito) di forza, di carità e di temperanza ». Questo carisma ammette dunque un aumento di grazia interiore, con le grazie attuali richieste dalla carica di Vescovo. Ora tutto questo è conferito « dall’imposizione delle mani » dell’Apostolo, non senza il concorso e l’assistenza del collegio presbiterale di Efeso, se la consacrazione, come è probabile, avvenne a Efeso. – Abbiamo dunque, nell’ordinazione di Timoteo, i tre elementi di ciò che la Chiesa oggi chiama Sacramento: un rito esteriore, l’imposizione delle mani; una grazia permanente (χάρισμα = karisma), sorgente di diverse grazie dello stato, prodotta da questo rito; una grazia interiore corrispondente al simbolo del rito esteriore, determinata nel suo significato da un complesso di circostanze, come la designazione profetica e la missione alla quale era destinato Timoteo. L’istituzione divina con la promulgazione immediata o mediata da parte di Gesù Cristo, si sottintende, dal momento che si tratta di annettere la grazia ad un rito. A questa citazione della Genesi: « L’uomo lascerà suo padre e sua madre, e si unirà alla sua sposa, e saranno tutti e due una sola carne », san Paolo aggiunge questa riflessione: « Questo mistero è grande; e io dico: per rapporto al Cristo e alla Chiesa (Ephes. V, 12) ». Secondo il Concilio di Trento, il Sacramento del matrimonio è insinuato in questo testo (Sess. XXIV). Questa è la parola più esatta. In mancanza di affermazione espressa, vi è qui un’indicazione di cui il teologo deve tener conto. Non già che non si possa nulla dedurre dalla traduzione latina: Sacramentum hoc magnum est. Il significato biblico di sacramentum (μυρτήριον= murterion) non è sacramento; esso è o un segreto disegno di Dio relativamente alla salute degli uomini, o una parola o fatto che racchiude un significato simbolico. L’argomentazione da fondare sul testo dell’Apostolo, per provare che il matrimonio è un vero Sacramento, è assai complessa e, qualunque sia la cura con cui venga istruita, vi saranno sempre dei punti deboli. Che l’unione coniugale abbia un carattere sacro — che sia un Sacramento nel senso più largo della parola — non lo nega nessuno. Secondo san Paolo, l’istituzione primitiva del matrimonio o, il che è quasi la stessa cosa, il racconto della Genesi che riferisce tale istituzione, è un gran mistero che simboleggia l’unione del Cristo e della sua Chiesa e che per conseguenza è segno di una cosa eminentemente santa: Sacramentum hoc magnum est, id est sacræ rei signum, scilicet conjunctionis Christi et Ecclesiæ, dice san Tommaso. Se si tratta di un tipo propriamente detto, il matrimonio sarebbe, sotto questo aspetto, un sacramento allo stesso titolo che la circoncisione ed i sacrifici dell’Antica Legge. Siamo ancora ben lontani dal segno sensibile istituito da Gesù Cristo per produrre la grazia che significa. Senza dubbio, una volta che fosse dimostrata la produzione efficace della grazia, l’istituzione divina si dedurrebbe naturalmente dal fatto che a Dio solo appartiene l’annettere la grazia ad un rito esteriore; e la promulgazione da parte del Cristo ne seguirebbe come corollario, poiché Gesù Cristo è il mediatore unico e universale della nuova Alleanza. La questione principale è di sapere se il nostro testo ci permette di concludere che il matrimonio cristiano, al momento in cui si contrae, conferisce la grazia santificante. Non vi è teologo cattolico il quale abbia sostenuto quest’affermazione con più di sottigliezza scolastica o con maggiore erudizione scritturale che il P. Palmieri. Il suo ragionamento si può riassumere così: I riti figurativi della nuova legge sono per loro natura pratici e non speculativi, cioè producono la grazia che significano; ora il matrimonio cristiano, secondo san Paolo, figura l’unione del Cristo e della sua Chiesa; dunque produce la grazia significata da questa unione. Se il matrimonio cristiano in facto esse impone agli sposi obblighi soprannaturali, bisogna che conferisca in fieri una grazia interiore proporzionata a tali obblighi. Si obbietterà che il simbolo del misterioso imene del Cristo e della sua Chiesa è il matrimonio in se stesso, e non il matrimonio cristiano; che per conseguenza, se la dimostrazione precedente provasse qualche cosa, proverebbe che ogni matrimonio è un sacramento. Ma questa obbiezione si può benissimo risolvere. Anzitutto il matrimonio cristiano — e san Paolo parla soltanto di questo perché si rivolge esclusivamente ai fedeli — impone ai coniugi doveri speciali che richiedono l’aiuto di grazie speciali. Gli sposi cristiani, nei loro mutui rapporti, si devono modellare sopra il Cristo e sopra la sua Chiesa: da una parte, sommissione rispettosa fino al sacrificio, dall’altra amore e devozione fino alla morte. Questa fonte di obblighi soprannaturali suppone una fonte corrispondente di grazie soprannaturali; e san Paolo ragiona appunto in tale ipotesi quando esorta i fedeli ad effettuare in se stessi l’imene della Chiesa e del Cristo, di cui la loro unione è l’emblema. In secondo luogo ogni matrimonio potrebbe essere segno, senza essere, per questo, segno efficace, come è il matrimonio cristiano. I riti della nuova legge sono commemorativi e non profetici; essi non guardano verso un avvenire che è ancora in potenza, ma verso il passato che essi fanno rivivere; essi sono pratici e non speculativi: non figurano soltanto la grazia, ma la producono. Se la circoncisione fosse stata mantenuta da Gesù Cristo, come segno della sua alleanza con l’umanità, abbiamo ragione di credere che essa sarebbe diventata un sacramento nel senso stretto della parola. Mutando direzione e significato rivolta verso il passato e non più verso l’avvenire, essa sarebbe stata capace di produrre effettivamente la grazia dell’alleanza; mentre invece, abbandonata a se stessa come un rito infimo e grossolano, perde ogni valore dopo la morte del Cristo. Così il matrimonio, che era in altri tempi il tipo dell’unione del Cristo con la sua Chiesa, cambia significato quando questa unione si consuma sul Golgota: da profetico diventa commemorativo; da speculativo diventa pratico; da inerte diventa efficace. Tuttavia perché l’argomento ricavato dal nostro testo fosse decisivo, bisognerebbe dimostrare: che il simbolismo indicato da san Paolo non è una creazione della sua mente o un rapporto mistico immaginato da lui — ego autem dico — ma che esiste veramente e parte rei per il fatto di una volontà positiva di Dio; che questo simbolo non è un semplice tipo profetico ma un segno pratico e commemorativo; che la grazia annessa al matrimonio non deriva soltanto dai nuovi obblighi inerenti allo stato coniugale — come avviene, per esempio, per lo stato religioso —: ma che essa viene conferita strumentalmente dal rito stesso del contratto matrimoniale in fieri. Ora tutto questo è piuttosto insinuato che affermato nelle parole dell’Apostolo. Quando già si sa che il matrimonio è un Sacramento, si può benissimo trovare in questo testo un’allusione più e meno chiara al rito sacramentale; altrimenti non si penserebbe forse a cercarcela.